A native of Nashua, Paul R. Bergeron retired from his position as Nashua’s City Clerk in 2015 after nearly 16 years of service. Currently, Paul is an Adjunct Faculty member at Nashua Community College in the Department of English and is a member of the Nashua Library’s Board of Trustees. Previous experience includes 17 years in retail management (including eight years in the family’s former menswear store, Bergeron’s, Inc., on West Pearl Street). Paul’s history of community service includes serving: on the City’s Cultural Connections Committee (formerly the Ethnic Awareness Committee) from 2003 – 2015; on the Rivier College Advisory Board from 1975 – 1976 and again from 1982 – 1989; as past president of the Heart of Nashua Foundation, an earlier downtown business and professional association (1982 and 1984); and on the Nashua Children’s Association Board of Directors from 1980 – 1983. He also has legislative experience as a State Representative (Municipal and County Government Committee, 1973 – 1974). A graduate of Bishop Guertin High School, Paul was awarded Bachelor of Arts and Master of Arts degrees in English from the University of New Hampshire. He conducted additional studies in English at Texas A&M University and in Business at Boston College and received his Master of Education degree from Cambridge College. Paul is married, has two daughters and four grandchildren, and has lived in Ward 2 for the past 13 years. His parents, Ann T. (Hansberry) Bergeron and the late Robert P. Bergeron, were also Nashua natives. I am running for State Representative because I believe that our children are entitled to a quality public education and that the state must meet its court-ordered obligation to support our public schools; I support efforts to ensure that those who have the right to vote may do so; I support policies that will improve the quality of our workforce, strengthen our infrastructure, and enhance public transportation; I believe that common sense should tell us that guns have no place in our schools; and I care about strengthening families and giving people tools to determine the direction of their lives. My career experience includes 21 years in municipal government, more than 15 years in retail management, and time in the classroom as a high school teacher and college adjunct faculty member. I have a good understanding of the issues that are important to my constituents, including the need for a stronger and safer public education system, the need to maintain existing revenue streams to the municipalities, and the need to consider the impact that legislative actions will have on small business owners. 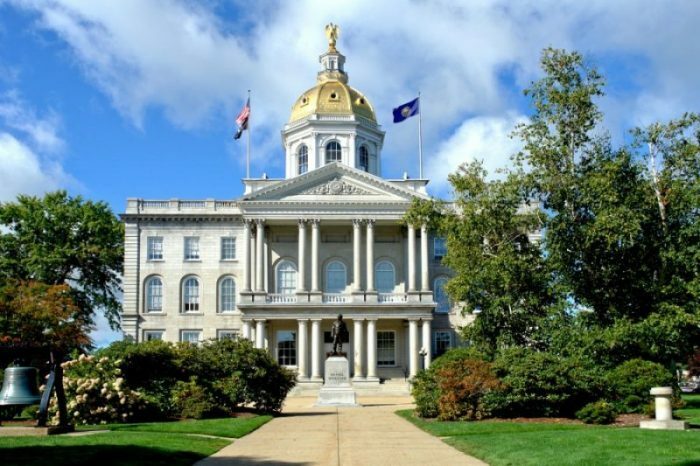 As a former State Representative I have experience navigating through the Legislative process in Concord. I am a registered Democrat, and I had the pleasure of serving in the Nashua and Manchester City Clerk’s offices under four Republican mayors. I believe in bipartisanship, and I believe that I can fairly represent all my constituents in Ward 2 regardless of party affiliation. This background, I believe, makes me uniquely qualified for the position of State Representative.